New York - With just over two weeks left in the current New York State legislative session, a bill that would require background checks and fingerprinting of all private school employees continues to languish in Albany. No public hearings have been held on the bill, which was introduced this past February by Assemblyman Dov Hikind, and has yet to be voted on. The fingerprinting bill has no co-sponsor in the assembly and no sponsor in the state senate. Fingerprinting and background checks became mandatory for New York public school employees when Project SAVE was created in 2000, following the 1999 Columbine massacre. While several states, including California, Pennsylvania, Ohio, Illinois and Michigan, require private schools to follow those same security measures, it is optional for New York state private schools as previously reported on VIN News. The only Jewish school in the state that requires its employees to undergo background checks and fingerprinting is the North Shore Hebrew Academy located in Great Neck and of all 1,900 private schools in New York, only nineteen employ these stricter security measures for screening their employees. Instead, Pasik feels that the lack of support from the ultra-Orthodox sector, particularly the Agudah, is to blame for the lack of action. Hikind has received letters of support for the fingerprinting bill from Ohel Children’s and Family Services, Rabbinical Council of America, Children’s Health Care Is a Legal Duty, Prevent Child Abuse New York, and The New York Society for the Prevention of Cruelty to Children, the oldest child protection agency in the world, founded in 1875, but disagreed that there is a lack of action on the fingerprinting bill. According to Hikind, efforts are underway to introduce legislation that will allow private schools to use funding that is already in place for bookkeeping and other internal expenses for fingerprinting and background checks. The facts here are not all true. Agudah has already publicized its support for the fingerprinting requirement. I am among those who do not care about what expenses yeshivas have to assume to do their jobs right, so the excuse of being unable to implement this due to funding falls on deaf ears. Are we all aware that the fingerprint records will have no benefit to the safety of our yeshiva environments? Are we also aware that the overwhelming majority of abuse involves those whose connection to the victims is via the family/home environments? I'm all in favor of accountability. But Agudah is not the problem here, and even if this bill passes, nothing substantial will be accomplished. There is much to do, and it is a shame the energies are being diverted to these nearly useless bits of legislation. “ The facts here are not all true. Agudah has already publicized its support for the fingerprinting requirement. I am among those who do not care about what expenses yeshivas have to assume to do their jobs right, so the excuse of being unable to implement this due to funding falls on deaf ears. How is this legislation nearly useless? It will help protect our kinder. What kind of Yeshiva would hire someone whose fingerprints come up as a child molestor? This protects us all! My nine year old son personally knows about 26 boys his age who have been molested in school. Is that ok with you?? Thank goodness. Somebody is looking out for our children. 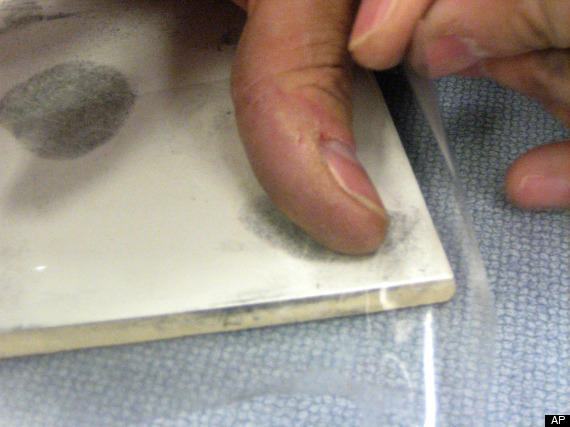 If the molesters are not reported to the police,what good will fingerprinting accomplish? Commentator 2, you are not correct - Agudath Israel refuses to support the mandatory fingerprint bill. "Even so, Hikind said it is high time that the mandatory fingerprint law, which he plans to sponsor again next year, is passed. The Kletzky murder, he suspects, might even propel the community of Boro Park and the broader Hasidic leadership to back him this time. 'I think now, with everything that has gone on, there is greater recognition that more has to be done,' Hikind said. 'It’s about priming. It should have been done years ago. A lot of things should have been done years ago.' Zwiebel, for his part, said that Agudath Israel is going to take a wait-and-see approach. 'I am pretty sure we will not oppose it and we will discuss internally as to whether we will affirmatively encourage it,' he said." Criminal background checks should be routine and mandatory. I'm more interested in adding to that sources of information that not involve reported crime or arrests. If proper background checks are done, the fingerprints are irrelevant. I want molesters put away like anyone else. I would not waste my time with the fingerprint bill (I would not oppose it either). We need to get them long before they have gone through the court system. Your last comment is objectionable. You think I am ok with a single child being molested? Shame on you. All I said was that this is a war to fight, and that this tactic is among the weakest strategies we can employ.
" My nine year old son personally knows about 26 boys his age who have been molested in school. Is that ok with you??" By your silence you are protecting the molester or molesters of 26 boys. Have you spoken to your Rov? Or to DA Hynes? Or to Dov? All of them are out of that Yeshiva and in other schools now. They were out the afternoon we found out. Most are in counseling. If you have kids, please, please teach them about personal space and that no one is allowed to violate them, especially teachers, coaches, Rabbis or family members or even doctors. It has recently become a moto 'anyhting goes' trowing mud against Agudath, and I urge VIN to carefully select when bashing Agudath to verify stories. Zwiebel's Forward letter actually proves Aguda does NOT support a mandatory fingerprint law. Only under the scrutiny of the Forward does Zwiebel for the first time reveal secret memos sent by Aguda and Torah U'Mesorah to their yeshiva administrators only, and not to parents. The memos only ASK the yeshivas to fingerprint. Meanwhile, there's no auditing of how many yeshivas fingerprint, and no internal enforcement. Zwiebel is scrupulously silent about Aguda's refusal to support a mandatory fingerprint law - shtika k'hoda. The VIN article is correct about everything. “ " My nine year old son personally knows about 26 boys his age who have been molested in school. Is that ok with you??" Speak to my Rov? And be told all the kids made up the stories as he told us? I can't comment on anything now, but we did the right thing to protect all children in the future.